Våra driftsäkra hetvattenpannor utvalda under många års erfarenhet. Produkterna är kvalitetssäkrade i minsta detalj är anpassade för drift inom industriell och professionell rengöring. Vår hetvattenpanna från Mazzoni med gas är senaste tillskottet i vårt miljöarbete. 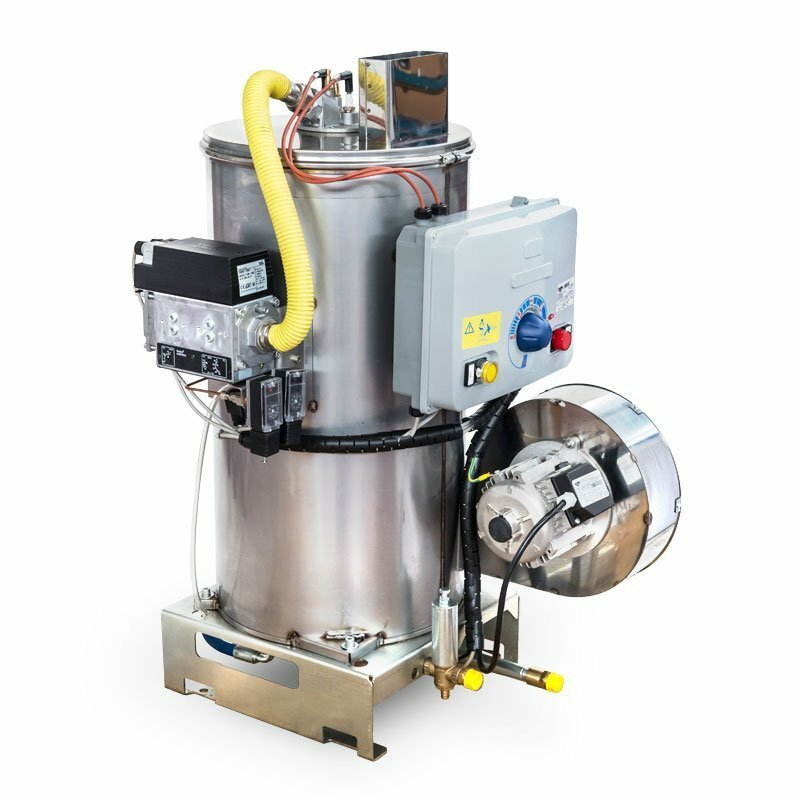 Vi utför även service och reparation samt tillhandahåller reservdelar till hetvattenpannor från Kent, Dynajet, Dibo, Alcon. 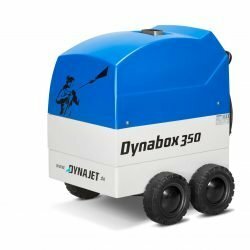 DYNAJETting with a system: the powerful Dynabox 350 12 V hot-water unit, offering a working pressure of up to 350 bar (5,075 PSI), is the ideal complement for all DYNAJET Trolleys. 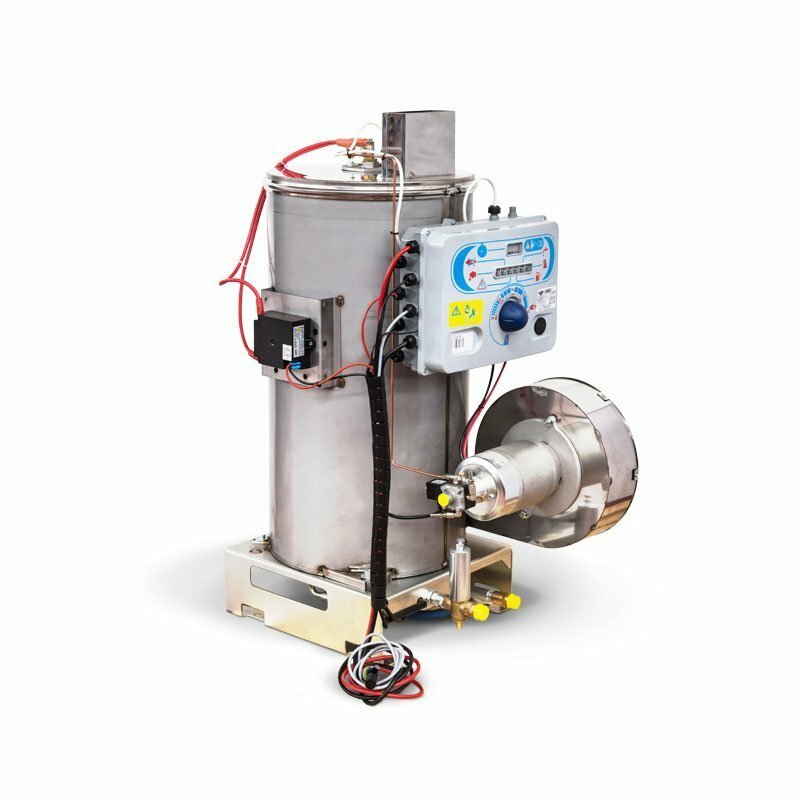 Simply connect on the high-pressure side between the high-pressure cleaner and the cleaning tool and, with high-pressure hot water of up to 95 °C, you will already be achieving results which are not possible with conventional cold-water systems. 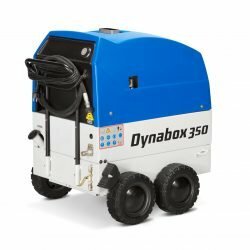 The other special features of the Dynabox 350 12 V are, of course, its light weight, small dimensions and its easy-loading and easy-transportation characteristics. What is more, the Dynabox 350 12 V works with a 12 V supply voltage. 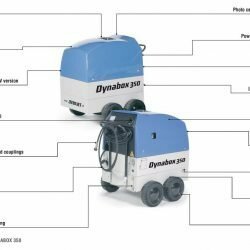 This means that no 230 V power cable is necessary, because the Dynabox 350 12 V can be easily connected to and operated via the combustion-driven DYNAJET Trolleys which are equipped with sockets as standard.